Imagine transforming your room without painting! You can easily add traditional elegance to any room. 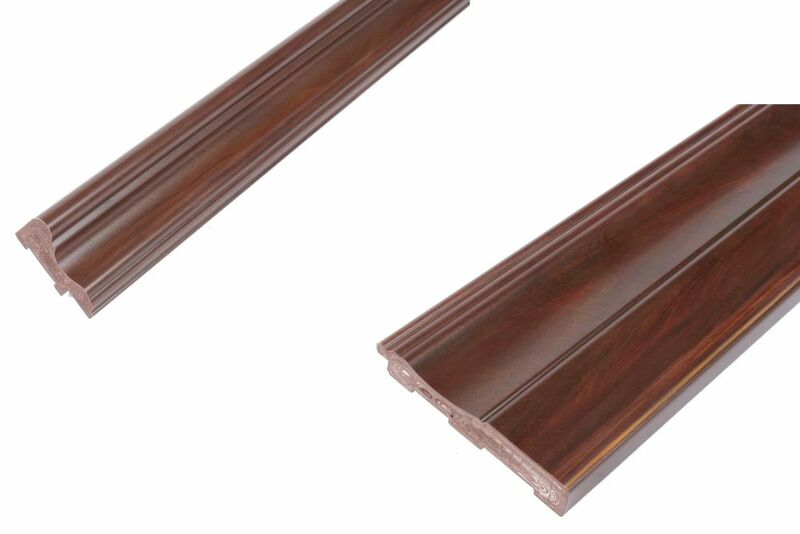 R2i "Ready 2 install" moulding technology gives you a durable professional finish is a time saver and It won't mark and dent like MDF Fiberboard. Remodel in hours and instantly enjoy with our pre-finished and durable wainscot. This easy to Install system requires No Painting! Chair Rail & Baseboard Kit - Prefinished Ready to Install - Fauxwood Cafe - 2 Pieces For 1/4 In. Wainscot Beadboard Imagine transforming your room without painting! You can easily add traditional elegance to any room. R2i "Ready 2 install" moulding technology gives you a durable professional finish is a time saver and It won't mark and dent like MDF Fiberboard. Remodel in hours and instantly enjoy with our pre-finished and durable wainscot. This easy to Install system requires No Painting!